PanARMENIAN.Net - Caffeine is the most commonly used psychoactive substance in the world. And at average consumption levels, it is considered to be good for your health – or at least not bad for your health. However, emerging evidence suggests that consuming caffeine during pregnancy may be bad for the baby. A resent study adds to that evidence, The Independent reports. 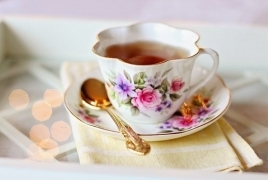 Tea was the predominant caffeine source (48 per cent) followed by coffee (39 per cent). Our analysis, published in The American Journal of Clinical Nutrition, showed a consistent link between both coffee and tea caffeine and adverse birth outcomes. In the highest caffeine consumption group, the risks of delivering babies with abnormally low birth weight or short gestational age at birth were about two times higher. The results were similar regardless of the caffeine source.